375 athletes from 32 countries will compete between 4 and 11 October at the World Rafting Championship 2011 in Costa Rica, one of the most important sport activities in Costa Rica this year. The Pacuare River in Mojones, Turrialba, about 70 miles east of San Jose, was selected by the International Rafting Federation, beating other nominees such as Italy and Australia. Rafael Gallo, President of the International Rafting Federation (IRF), said that this event will have the distinction of being "carbon neutral". That is the main reason because of 3,000 trees will be planted to offset carbon emissions will occur during the tournament. Besides, Gallo noted that "this is the first world championship in any sport that is carbon neutral". Flores also said that this kind of activities let to position the country as a tourist destination and the Turrialba area as one of the best Costa Rica attractions for the optimal development of this extreme sport. This international competition will consist of two sections: one of 20 km and another of 700 meters, and the athletes, teams of six members, vie for the title in four disciplines: speed, one by one, barriers and downstream. They will be evaluated by a panel of foreign and local judges, certified by the IRF. 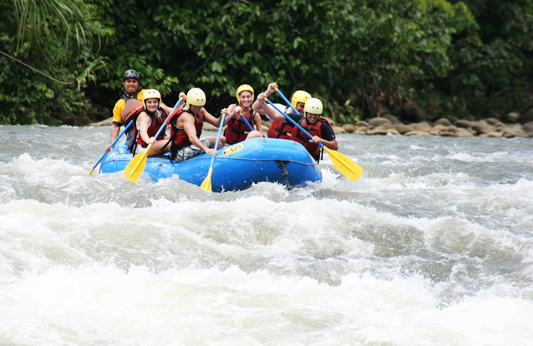 Rafting is a popular activity for tourists looking for exciting things to do in Costa Rica. This extreme activity is practiced, with varying degrees of danger, in several rivers on both coasts of the country. The World Rafting Championship 2011 is sponsoring by the Instituto Costarricense de Turismo (ICT) because it "represents a strategic window to attract tourists, new market positioning and development of adventure tourism", said Minister Flores. Teams from Argentina, Australia, Austria, Belgium, Brazil, Canada, Croatia, Denmark, Slovenia, Finland, France, Great Britain, Hungary, Italy, Japan, Mexico, New Zealand, Norway, Netherlands, Slovak Republic, Russia, Serbia and Venezuela, among others, will attend the tournament. The previous world championships in this discipline, which are held every two years, were performed in the U.S., Czech Republic, Bosnia and South Korea.